Anyone can go buy a stock bike off a dealer's lot, but when you're riding this Triumph Bonneville Pegaso, you can be confident you won't see anyone else riding one — because it's truly one of a kind. With this custom bike, Tamarit Spanish Motorcycles put their own spin on a 2006 Triumph, aiming to create an off-roader that's ready for anything. That includes manufacturing some of their own parts, like the bash plate, chain guard, and foot pegs. And when you add in the rugged Renthal handle bars, front fender, knobby tires, exhaust, and classic scrambler seat, it's more than capable off tackling unchartered paths. 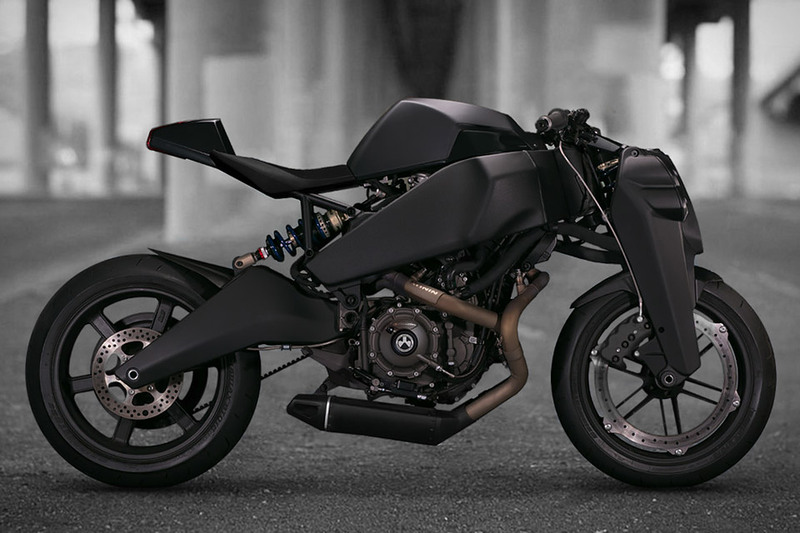 It's not every day you get a chance to own the very first model of a new motorcycle, but that's exactly what you'll find in the Midual Type 1 Motorcycle. Inspired by classic European cars and bikes from the '30s and '50s, this great-looking ride is powered by 1036 cc flat-twin engine pumping out 106hp that's paired with a 6-speed transmission with a multi-plate clutch and an electric starter. Other features include a double-wall aluminum alloy monocoque that acts as the fuel tank and body, a cantilever rear suspension, Brembo brakes, 17-inch wheels, and the ability to draw attention anywhere you ride it. It's true that the Bandit9 Bishop Motorcycle is listed as being a Honda SuperSport, but one look at this limited edition custom will tell you there's little left of its prior identity. Powered by a 90cc-125cc engine, the Bishop features a high-grade aluminum unibody, either walnut, oak, or teak burl panels, a custom exhaust, muffler, and suspension, a charcoal grey suede seat, an electric starter, and LED brake lights encased in quartz glass. If you like what you see, you'd best hurry — only nine are being built.